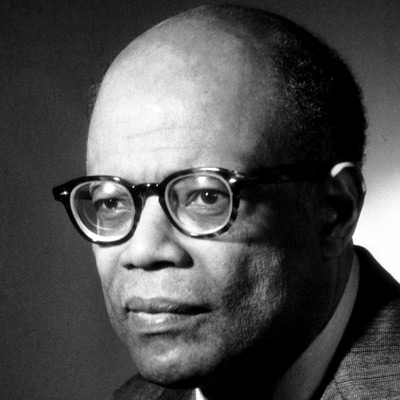 January 23, 1915 William Arthur Lewis, the first black person to win a Nobel Prize in a category other than peace, was born in Castries, Saint Lucia. After earning his Bachelor of Science degree in 1937 and his Ph. D. in 1940 from the London School of Economics, Lewis lectured at the University of Manchester until 1959 when he was appointed Vice Chancellor of the University of West Indies. Key works by Lewis include “Economic Development with Unlimited Supplies of Labour” (1954) and “The Theory of Economic Growth” (1955). Lewis was knighted in 1963 and received the Nobel Prize for Economics in 1979. He served as a full professor in the Department of Economics at Princeton University from 1964 to his retirement in 1983. After his retirement, he became president of the American Economic Association. After his death on June 15, 1991, Lewis was buried on the grounds of the Saint Lucian Community College named in his honor. In 2007, the Arthur Lewis Building was opened at the University of Manchester. November 11th in African American History – Rodney Milburn, Jr.